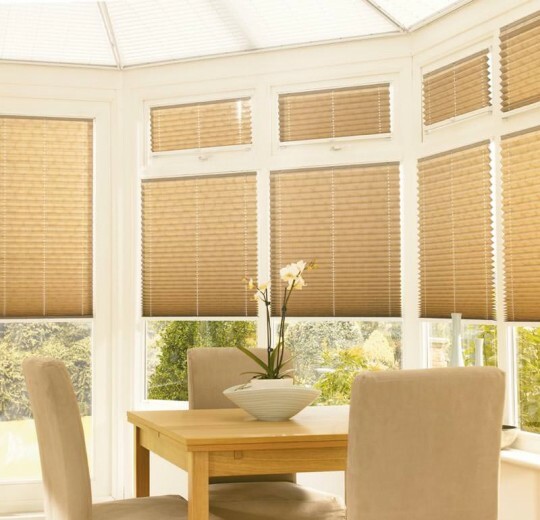 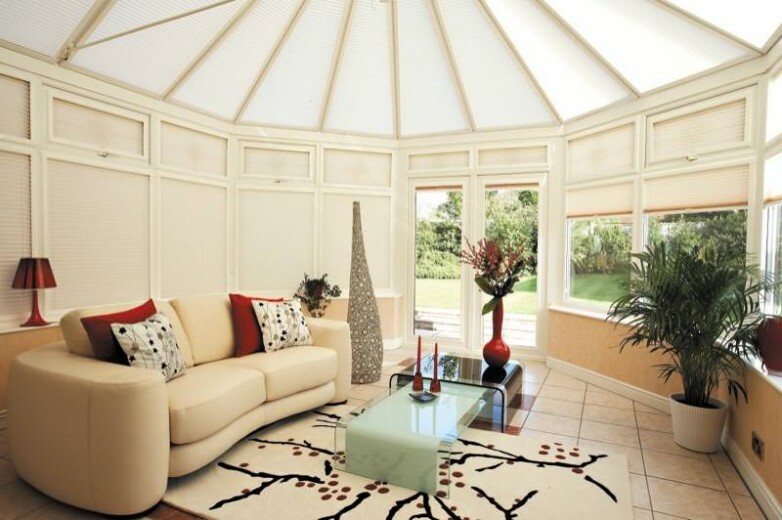 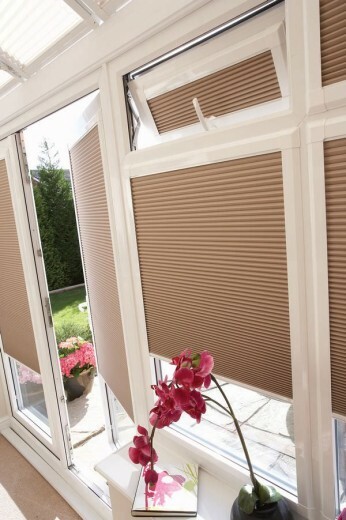 Pleated blinds are the perfect way to brighten up your conservatory and of course give you privacy and shade when needed. 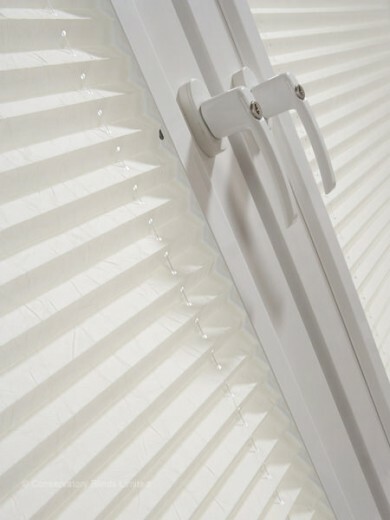 Our pleated blinds are operated using a locking pull cord system which allows you to have the blind at the height you require. We provide pleated blinds in a wide range of fabrics & colours, and come with options of blackout backings and solar protective coatings (spc). 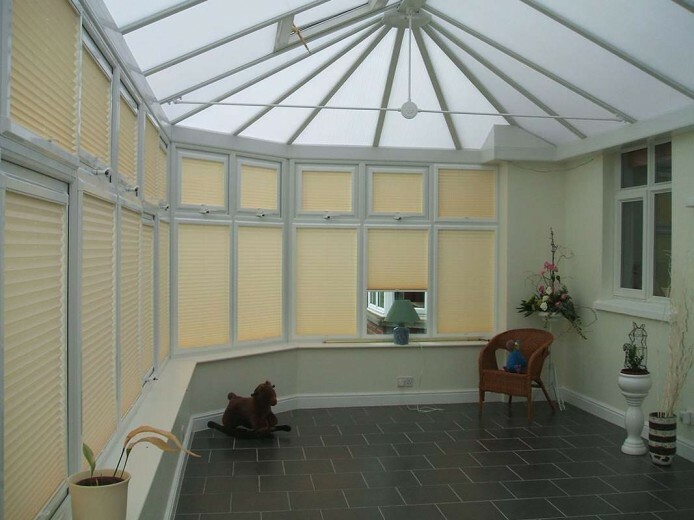 Pleated blinds are very stylish and also practical, and work very well in conservatories, espcially with our perfect fit frames.